Appium is an open source, cross-platform Test automation tool for native, hybrid and mobile web apps, tested on simulators (iOS, FirefoxOS), emulators (Android), and real devices (iOS, Android, FirefoxOS). Appium drives various native automation frameworks and provides an API based on Selenium’s WebDriver JSON wire protocol. Androidsupport uses the UiAutomator framework for newer platforms and Selendroid for older Android platforms. This article will guide you through all the necessary steps needed to setup Appium for Android mobile app testing with Windows. The client/server pattern helps Appium achieve multi-platform testability, once a test is written it is executed in the client/test station. Thanks to Google’s JSON[seleniumwebdriver], Appium is able to have tests send commands to devices through the test server. When writing Appium tests, the code will simply perform HTTP calls to the server which will translate those meta-commands into device-specific actions sent to the device to test. Commands are essentially user interactions with the app like clicking an interface component, swiping on the screen, scrolling onto a particular area or performing a specific gesture. You don’t have to recompile your app or modify it in any way, due to use of standard automation APIs on all platforms. 1. Install Android SDK in your system. Make sure ‘Environment Variables’ path is set to ANDROID_HOME variable that point to your SDK directory. 4. Unzip the file & run the Setup.exe file >> ‘Select Setup Language’ pop-up is displayed >> Select ‘English’. 7. Select the Start Menu Folder for the Shortcut. Let it be default ‘Appium’, a new folder will be created. 8. Select additional tasks like ‘Create a Desktop icon’ & click Next. 9. Click ‘Install’ in ‘Ready to Install’ wizard. 10. Installation starts. Please wait while Setup installs Appium, this might take few minutes. 12. Kick up an Appium server, and then run a test written in your favorite WebDriver-compatible language! Happy Automation! 😉 You’re invited to share your views on Android mobile app testing with Appium in the comments below! 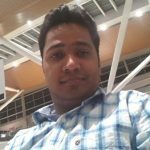 Thanks Deepanshu for sharing the procedure for setting up Appium. This will definitely help for practicing the mobile testing. Also this will help to experience the tools like TestingWhiz, as it has to be integrated with Appium to test the mobile apps through automation.